Known for its spectacular scenery, Vermont (VT) is one of the best road trip destinations in all of the northeast United States. The scenic drives found in the state provide ample excitement as you explore historic sites, quaint villages, twisting rural routes, and tree-covered mountains. The not-to-be-missed scenic attractions in Vermont include the Green Mountains in the western part of the state and Lake Champlain in the northwest. When you are done driving and ready to park your car, you can relax at camping and picnic areas, enjoy shopping at antique shops, visit wineries and rest in numerous bed & breakfasts. Vermont also offers various ski resorts for outdoor enthusiasts. 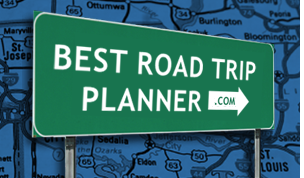 Hop in your car and enjoy a great road trip adventure in the state of Vermont!